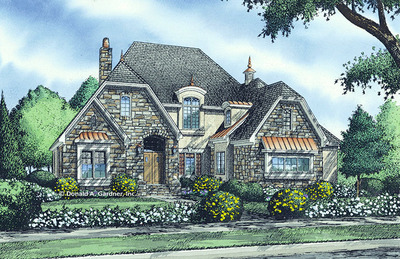 Are you looking to build a new home? Chances are, the existing home or apartment you are living in no longer has enough space for your growing family's needs. When this is the case, house plans with a loft or study are a great choice. A loft or study gives you additional space for a wide range of needs, and Donald A. Gardner Architects has several home plans with a loft for your consideration. You can never have enough space, and when you choose floor plans with a loft or study space, you will find it is extremely helpful. Transform it into a media room, use it as a "man cave" or create the ideal game or toy room for your kids. Do you have a fitness buff? Create your own home gym. You can even turn it into a family room and use your main great room for more formal entertainment. These are all excellent ways to use a loft or study and make the most out of your home's design. 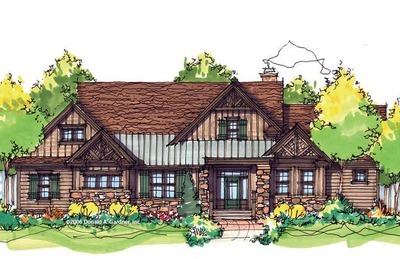 If you are building a home from the ground up, Donald A. Gardner Architects has a number of study or loft house plans for your consideration. The Lyndhurst is one of these. 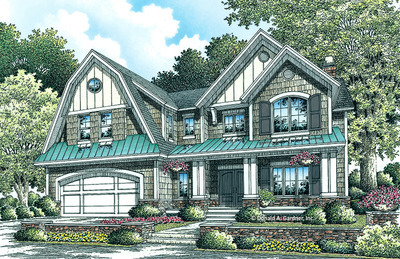 This stately gabled home has both a loft and a study/den room, so you can have everything you need in one plan. It measures 3,404 square feet and features a spiral staircase that serves as a stunning focal point of the home. 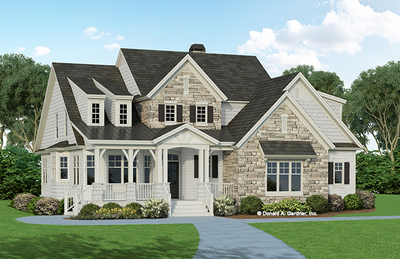 The Allendale, with its wrap-around porch, is another lovely home with a loft. This 1,862-square-foot floor plan has a cozy study right at the top of the stairs on the second floor. A great room and separate dining room provide ample space for family activities on the main floor as well. If you are shopping for small house plans with a loft, this one is a smart choice. 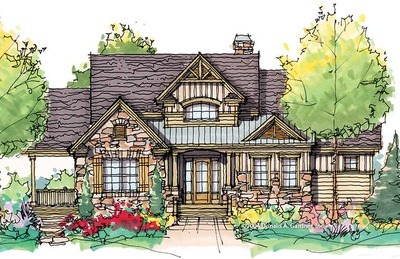 When you shop for loft house plans with Donald A. Gardner Architects, you purchase plans directly from the architect - not some middleman who is simply looking to sell designs. 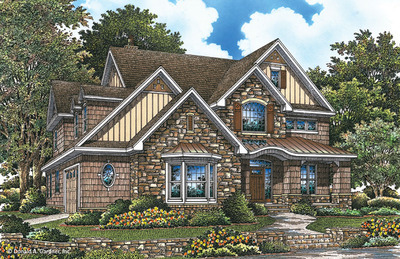 This means that you save money and can get knowledgeable answers to any questions you have about the designs. It also means we can take any of our existing house plans and expertly re-arrange them to include study or loft spaces. Ready to get started? Our team is here to help make your dream into a reality. Contact our modification specialists to talk about your renovation, or browse our existing home plans using our advanced search to find plans that already have a loft or study. With Donald A. Gardner Architects, creating your dream space is easy.